The premise of Soul Food Love by Alice Randall and Caroline Randall Williams is family history, food, and eating a little healthier to break the cycle of obesity. The family history of this book is about a third of the book, focusing on each of the women down the family's lineage. Their personal stories as well as their food is discussed in great detail. This is a great document of a family's history and is the heart from which the rest of the book flows. I have made three dishes from this cookbook so far: Sweet Potato Broth, Chicken and Peanut Stew, and Sinless Sweet Potato Pie. All the recipes I've tried so far have been totally on point as well as recipes that I will definitely keep in my repertoire. Other recipes that I look forward to trying include Chicken Breasts with Grapes and Mushrooms, Spicy Pepper Chicken, Red and Black Bean Burgers, and Broccoli with Peanuts and Raisins. I was really excited to receive this book, but I found myself wishing for more recipes from the family's history or revamped versions of a family recipe. It made me feel like there was a little bit of a disconnect between the two sections of the book. For instance, Caroline tells a touching story about teaching in the South and making herself healthy foods. When one of her students asking to try the chicken, the student was surprised that the chicken was good. While I suspect that this story may be referring to her Spicy Pepper Chicken recipe, it wasn't directly referenced and I was hoping that Caroline would follow the story with her chicken recipe! Overall, this is a really lovely cookbook both figuratively and literally. The book itself is gorgeous with warm and inviting photography, but the stories and the heart of the book are really at the core of what it's about. You can feel so much love throughout this book, it leaves you wanting more! I was instantly drawn to this Chicken and Peanut Stew recipe because I had a similar dish at Santa Fe's International Folk Art Market several years ago. It was in the middle of summer here in New Mexico and it was humid due to the rain, and my friend Jessica and I were eating this stew which was making us sweat even more. The stew was made by a lovely family from Cameroon and we couldn't get enough! I have never had a recipe like it since, until now. 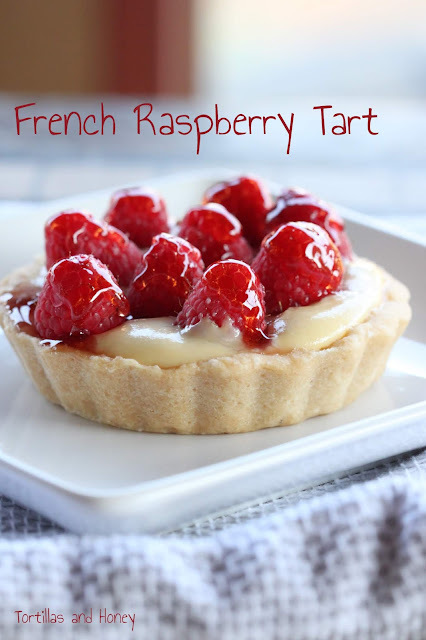 I've googled and searched for recipes similar but have just never attempted making it. I think some of it was fear that I wouldn't be able to replicate it. When I saw this recipe in Soul Food Love, I knew that I had to make the recipe. I loved the idea that it was made from a homemade sweet potato broth and that the recipe looked relatively easy to make. I decided against cooking my own chicken and just used a whole store-bought rotisserie chicken that I shredded which cut cooking time down considerably. I also served this over rice, similar to what I had in Santa Fe. You can serve it with out without, it's still a hearty and yummy dish! The spices added a warmth to it but not a spiciness (but remember this is coming from a New Mexican palate). The sweet potato broth is vegetarian, but I imagine that you could substitute chicken broth to add a little more flavor. I will definitely be making the broth again, it's one of the cookbooks greatest jewels! Next time I make the broth, I may try to add chicken broth and some other roasted squash to make a squash soup. You can make this broth ahead of time, but I decided to make it right away and then just throw the rest of the ingredients in the pot, which is reflected below. I was a little afraid to make this recipe because I wasn't sure how Joe would receive the recipe. He's a guy and likes simple guy foods (ahem, meat and potatoes). Adding in peanut butter and curry to his meat and potatoes was pretty iffy and a great big question mark but he ended up loving it! In a large stockpot over low hear, saute the onion, celery, and carrot in a tablespoon or so of olive oil. After about 8 minutes or after the onion is softened, add in the sweet potato, water, cloves, and add salt and pepper to taste. Bring to a boil, lower the heat and simmer for about 30 minutes or until the sweet potato is completely soft. Remove cloves. Using an immersion blender or a regular blender or food processor, puree the mixture until smooth. If not using immediately, let cool, then cover and refrigerate for up to 5 days or freeze for up to 2 months. Combine all ingredients into a medium pot over medium heat. Simmer until the peanut butter is completed blended and the stew has a thick, even consistency, about 20 minutes. 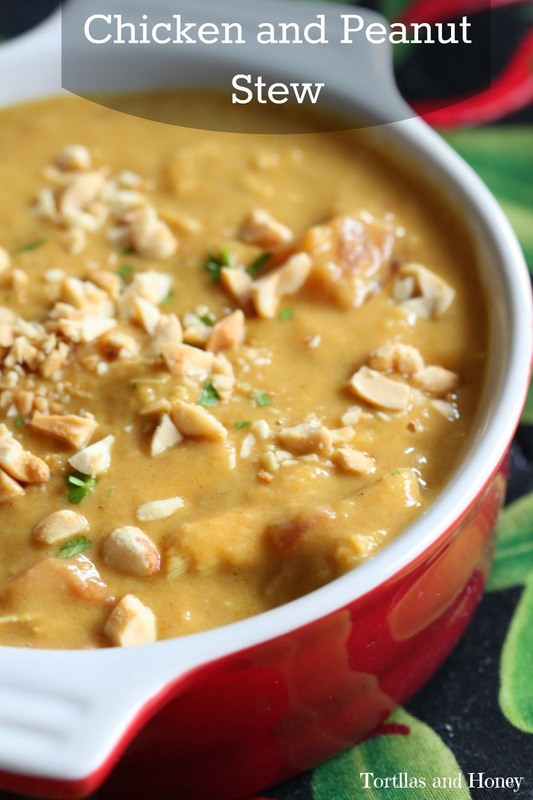 Ladle into soup bowls, then garnish with a sprinkling of chopped peanuts and parsley. Are you yourself when you're hungry? Do you find yourself being just a little more grumpy or just not yourself? If so, I think that goes for many of us! I know that I definitely get more snappy at others. And when my brother is grumpy or very complain-ey, I usually ask him 1) Are you tired or 2) Are you hungry? And it's usually one of the two. While I was perusing Dollar General yesterday, I found three SNICKERS® products that I thought would be great to incorporate into a recipe that you can serve your family everyday, SNICKERS Peanut Butter Square, SNICKERS Almond, and SNICKERS Extreme. I wanted to create a recipe that has fiber and protein that helps you curb your hunger. 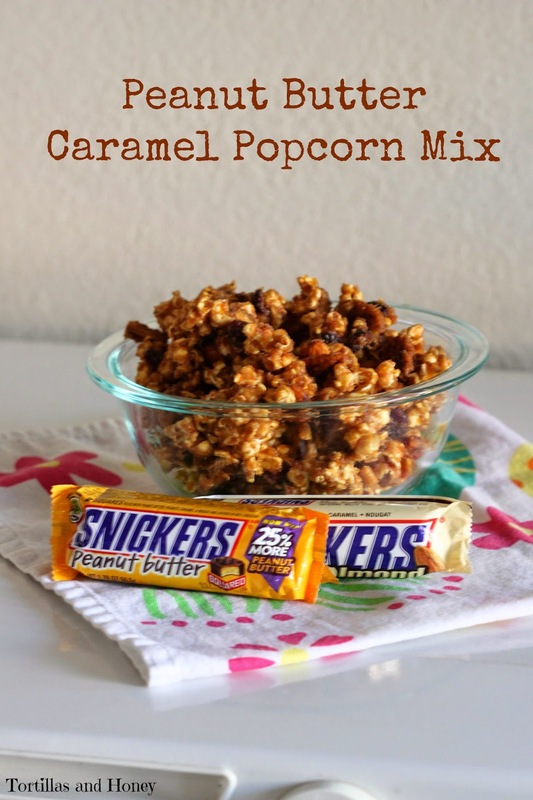 For this recipe, I decided to make a Peanut Butter Caramel Popcorn Mix that incorporates high-fiber air-popped popcorn (sans the butter), a peanut butter caramel sauce, and a mixture of nuts, cranberries, and chopped SNICKERS. The caramel sauce is made with water, honey, brown sugar, and peanut butter but the sugar content is fairly low. This recipe relies mostly on peanut butter, nuts, cranberries, and chopped SNICKERS for flavor. 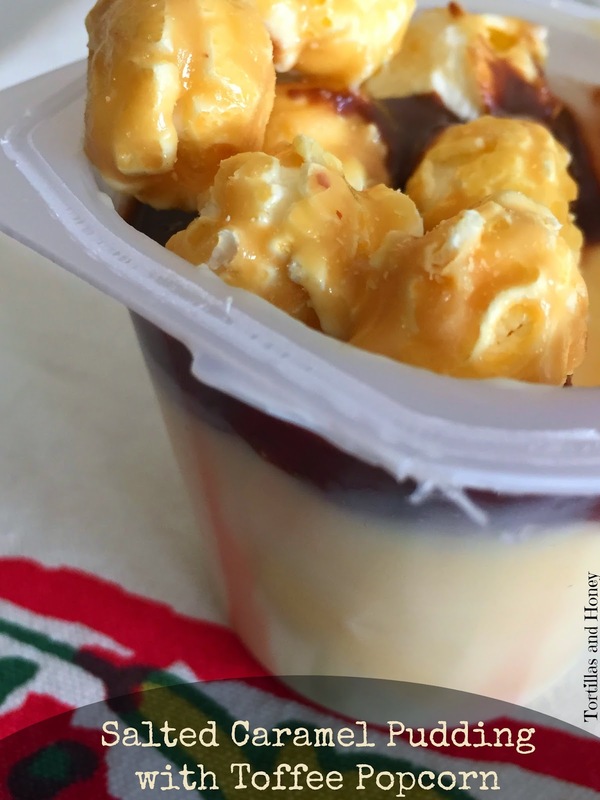 This recipe is also better fresh and the peanut butter caramel is a soft caramel (it doesn't harden), so I suggest serving it right away because the popcorn gets slightly chewy as leftovers. There is a fun contest, the SNICKERS® "Who are you when you're hungry?" contest. Enter and upload a personal photo or video from your Computer, Facebook, Instagram or use the SNICKERS® Meme Generator to create something new! Voting begins at Noon on 5/11/15 and ends at 11:59:59AM ET on 7/15/15. To see more great SNICKERS® recipes and fun stories about others and how they are when they're hungry at the SNICKERS® social hub. Who are you when you're hungry?? Place the popped popcorn in a large mixing bowl Mix in the chopped SNICKERS, assorted nuts, and dried cranberries. Set aside. Place the brown sugar, water, and honey in a small saucepan and bring to a boil. Let boil for about two minutes and then turn off the heat. Measure and add the peanut butter and stir until it melts together. Pour the warm peanut butter mixture over the popcorn mixture, and mix together using a large spoon. Sprinkle salt over the popcorn mixture, if desired.